Alex Laing began his musical education at the Edinburgh Academy and later at St Mary’s Music School where he studied violin with Warren Jacobs. Alex is a graduate of Cambridge University and held one of the University’s prestigious Instrumental Awards. Thereafter, he gained the Diploma of Professional Studies in Music Performance at Birmingham Conservatoire, where his violin studies continued with Jacqueline Ross, and later with Peter Thomas and Michael Bochmann. Alex is founder and artistic director of the Darwin Ensemble Chamber Orchestra (DECO), now in its tenth season. The orchestra specialises in accessible classical music, drawing large audiences across all generations. Alex has appeared as soloist with DECO in Vivaldi’s Four Seasons, Mozart’s Sinfonia Concertante, Haydn’s Sinfonia Concertante and in both the Bach double violin concerto and the double violin and oboe concerto (with George Caird). Alex’s main roles are as conductor and educator. From 2011-2016 he was Musical Director and Conductor of the National Children’s Orchestras of Great Britain Easterlies, and returns to this role in 2019. 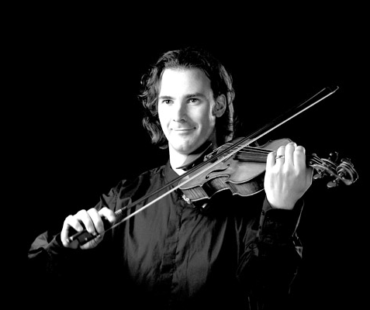 He continues to act as a violin tutor and conductor on NCO courses. His violin students have won scholarships to leading conservatoires, are prize winners in the UK and abroad and are members of the NCO and of the National Youth Orchestra of Great Britain. From 2014 to 2018, Alex taught violin, coached chamber music and conducted at the Royal College of Music Junior Department. Alex’s articles on violin teaching are published in magazines for the European String Teachers Association. His reviews on music and education appear regularly in the Strad magazine. From 2010-2017 Alex was Head of Strings at Uppingham School. He is now Artistic Director (Music) at the King’s High School in Warwick where he oversees the musical education of children aged 3 to 18. In his first year in post he introduced two new initiatives. Everyone in year 2 is now learning music with string instruments, and everyone in year 7 learns music using instruments in every family of the orchestra. As part of his role Alex conducts the Warwick Independent Schools Foundation Symphony Orchestra.